7 Breathtaking Looks That Only Priyanka Chopra Can Pull Off. . .
She hits the mark every single time! Priyanka Chopra in J Mendel at the Harper’s Bazaar 150th Anniversary. She’s a lady that oozes sophistication, so we’d expect nothing less than this. Priyanka looks all flattering in the in Atelier Versace at the Billboard Music Awards. Her super powers to pull the tied hair look effortlessly are clearly visible. It’s never too pink to make the boys wink was the order of the day for the actress as she attended the Altuzarra spring/summer 17 show in this bubblegum pink midi dress. At the White House Correspondents Dinner, Priyanka went for an all-time classic, simple and elegant look: the black dress by Zuhair Murad. Priyanka Chopra’s oh-so-chick look in Barbara Bui on her way to film a segment of Jimmy Kimmel Live is giving us major dress goals. Priyanka called in spring at the 22nd Annual Screen Actors Guild Awards. She looked absolutely flawless in strapless floral embroidered gown by Monique Lhuillier.We bow down lady. 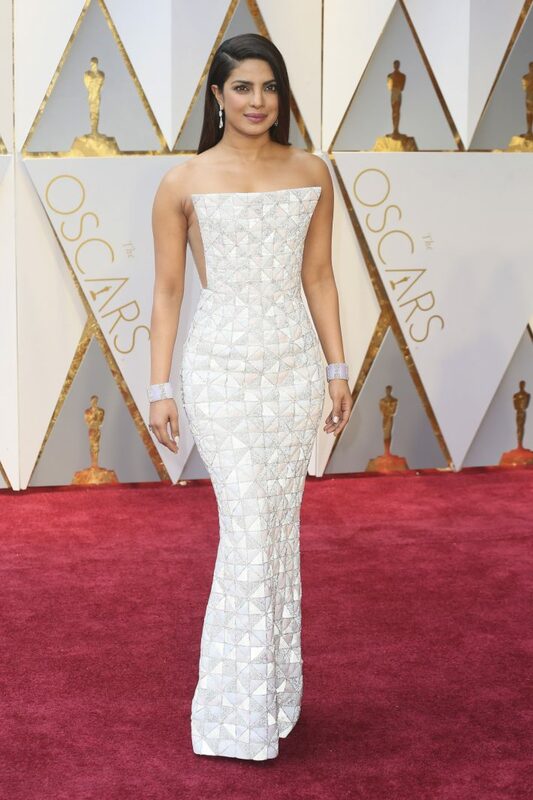 Our Desi Girl opted for body-hugging gown by designer label Ralph & Russo with sleek side parted hair at the 89th Academy Awards in Los Angeles and we can’t get enough of her. Slay, Slay, Slay Queen.